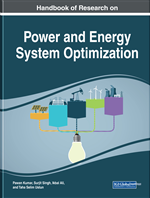 This chapter introduces the custom power device to solve the various kinds of power quality (PQ) problems. It is generally known as flexible AC transmission system (FACTS) and D-FACTS (FACTs used for low voltage and low current rating in AC distribution system). The D-FACTS are various types like dynamic voltage restore (DVR), static compensator in distribution system (D-STATCOM), and unified power quality conditioner (UPQC). The third one is combination of DVR and D-STATCOM, which is known as UPQC. The UPQC can compensate all the PQ problems. Comprehensive knowledge of UPQC is presented here to understand the trade value of this device. This chapter is organized as follows: The evaluation of power electronic based devices is presented in the background part of this chapter where custom power devices (CPDs) are also discussed. And operating principle with the Matlab model of UPQC and results are presented in the section titled “Working Principle of Unified Power Quality Conditioner (UPQC).” The scope of the one of the functional power electronic based devices are presented in section titled “Scope of UPQC.” At the end, this chapter is concluded. The power electronics based loads supports to generate harmonics in power system. It has some serious disadvantage in terms of power quality of the AC distribution system. The AC mains has to generate extra reactive power because of harmonics polluted equipment. The latest issue needs a technical solution for the betterment of the power system. The concept of custom power devices (CPD) has been exposed in the late 1980s. This is an application of power electronics, which includes the controller to improve the power quality and controllability of the power system (Hingorani, 1995; Hasan, et al., 2013; Fujita & Akagi, 1998; Singh, et al., 1999). There are two type of methodology behind the power electronics equipment, first one is conventional thyristor switched capacitors (TSC) or thyristor switched reactors (TSR) and second one is self-commutated switching converters. These two methods could control real and reactive powers efficiently but the self-commutated devices only could be used which eliminate currents harmonics and voltages harmonics. Moreover, compensation flexibility and response time in the self-commutated switching converters have been explored better than conventional thyristor switched converters. The static VAR compensators (SVCs) are used to improve the quality and control of voltage by supplying or absorbing reactive power using inductors and capacitors. The essentials parts of a SVC are thyristors in anti-parallel and passive elements (capacitor and inductor). A SVC contains a switched capacitor as a passive element is called as TSC or a controlled reactor is called TCR. The effective value of the passive elements is changed regularly by controlling the angle of gate pulse of the thyristors. One of the main problem of SVC is handling of the reactive power. The size of passive elements is limited by the reactive power demand. On the other hand, custom power devices overcome the limitation of SVC. Most adaptable custom power device is STATCOM. It has a voltage source converter (VSC) with fast response. It could be implemented to support stability and voltage profile in the power system. The same voltage and current profile in the distribution system can be enhance by D-STATCOM. The structure of D-STATCOM is similar to the STATCOM. The static synchronous series compensator (SSSC) injects the voltage in series with the AC mains in power system and behaves as a voltage controller of the transmission system. SSSC is capable to maintain desired output voltage. SSSC contains a voltage source converter with suitable controller if it also contains DC link, the SSSC is able to eliminate harmonics in the voltage, to compensate reactive power, regulate voltage sag/swell, voltage unbalance and voltage flicker. The same profile can be enhanced in the distribution system using dynamic voltage restore (DVR). The most promising custom device DVR, D-STATCOM and unified power quality conditioners (UPQCs) are used in the distributions system to enhance the power quality. The UPQC is most promising device to enhance the power quality in the distribution system which offers advantages over DVR and D-STATCOM. In a UPQC), two converters are connected back to back with a common DC link (Hasan et al., 2015; Khadkikar, 2012). The series converter mitigates the voltage related issue whereas shunt converter compensates current related issue. This is the most common and popular converter topology which is shown in Figure 1. TSR: Is thyristor switched reactor that is self-commuted switching converter that controls the active and reactive power of power system. D-FACTS: Is the FACTS used in distribution system to enhance the power quality of the customers and utility. Facts: Is the flexible AC transmission system that is used to improve the reliability and stability of power system. Custom Power Devices: Are the D-FACTS that are used in distribution systems like DVR, D-STATCOM, UPQC, and interline power quality conditioner (IPQC). SVCs: Is static VAR compensators (SVCs) that are used to improve the quality and control of voltage by supplying or absorbing reactive power using inductors and capacitors. UPQC: Is the custom power device used to enhance the multiple power quality in distribution systems. TSC: Is thyristor switched capacitors that can control real and reactive in transmission system.